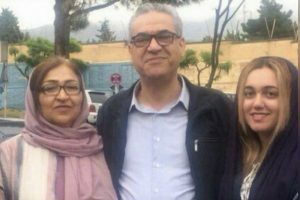 A year after the seven Baha’i leaders [Yaran, or “Friends”] in Iran were arrested and imprisoned, the government has yet to make any formal charges against them. Their families report being told, however, that they may be charged with ‘Mofsed fel-Arz’, which means ‘one who engages in spreading corruption on earth’, and carries the death penalty. This new unofficial charge differs from those that were intimated by Tehran’s Deputy Prosecutor on 10 February 2009: espionage for Israel, insulting religious sanctities and propaganda against the Islamic Republic.1 The charge of ‘spreading corruption on earth’ has a chilling history, and it should alert us to the grave threat to the lives of the Baha’i leaders. What makes the charge of ‘spreading corruption on earth’ especially alarming is that it calls to mind the early days of the Revolution. It was primarily used as a reason to execute hundreds of former members of the Shah’s regime – high officials and military chiefs. It was the charge made against former Prime Minister Amir-Abbas Hoveida in an infamous trial where he spent his last moments debating the legal meaning of ‘Mofsed fel-Arz’, before the judge pronounced him guilty and had him executed minutes later. The Omid electronic database of human rights violations in Iran registers more than 300 people executed for ‘Mofsed fel-Arz’.6 Most were affiliated with the Shah’s regime, and there have been only a handful of executions under the charge in the past 20 years. The Baha’i International Community reports that it was also used against Baha’is who were executed in the early 1980s. The charges against Baha’is were not usually made public in those cases, so it is difficult to discover more details about the circumstances of the cases (although the arbitrary nature of revolutionary justice and the targeted campaign against Baha’i leaders often made context virtually irrelevant). Khalkhali referred to those he sentenced to death under the charge as “traitors” who “destroyed society”. Executions have followed in recent cases in which defendants have been convicted of ‘spreading corruption on earth’. Last month, the official IRNA news agency reported that three men were hanged outside of Shiraz (two of them students) and their charges were upheld because of a ‘conspiracy to overthrow the government’.8 They were convicted of carrying out the November 2008 bomb attack on amosque in Shiraz, and were accused of having ties to the United States. The charge ‘Mofsed fel-Arz’ has chilling precedents and implications in Iran, and it should be a source of great concern that there may be official discussion about applying it to the imprisoned Baha’i leaders. It signifies collective conspiracy, moral corruption, and collusion with outsiders to undermine the Islamic Republic, and these are all among the baseless accusations that have been leveled against Baha’is in the past. Of greatest concern is that the charge carries the penalty of death. 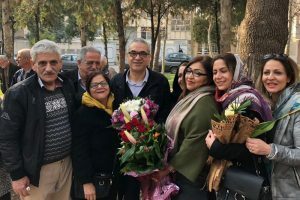 Fair trials are uncommon in Iran, and judges are not known to be neutral third parties, especially when it comes to deciding cases where such opaque charges make the standards of evidence equally unclear. The fact that these Baha’is have still not been permitted to meet with their lawyer, [the Nobel Peace laureate] Shirin Ebadi, does not bode well for the judicial process. This new charge against the Baha’is requires the closest attention from the governments and citizens who stand in solidarity with the imprisoned Baha’i leadership. It is an alarming development and a frightening reminder of the sinister intentions of the government. 2 John Esposito. The Oxford Dictionary of Islam: “Mufsid fil-Ard”, p.83. See also Sura 5:33 of the Qur’an. 3 Reza Afshari. Human Rights in Iran: The Abuse of Cultural Relativism, p.33. 4 Abbas Milani. The Persian Sphinx, p.84. 5 Elton L. Daniel. The History of Iran, p.187. At one point, Baha’is were blamed for this crime, but it was later blamed on a Sunni Muslim group. Dredging up the linguistic conundrum “Mofsed fel-Arz,” or “spreading corruption on earth” as criminal charge only demonstrates the lamentable low to which the government of Iran has sunk. Perhaps it is a measure of the utter desperation of the government. How miserable for the people of a once great nation! How long must this terrible suffering continue? At what cost? The Baha’is are innocent, absolutely innocent. Even a cursory glance at Baha’i principles and teachings confirms this fact without any doubt whatsoever. It is sad and pathetic that the civic and religious leaders of Iran are so insecure as to resort to murdering innocents, mistreating innocents and threatening innocents to distract from their own obvious failures. The extreme irony of their persecuting the Baha’is is that the Baha’i religion has taught former Christians, Hindus, Buddhists and Jews to love Muhammad, to read the Quran, and to revere the Holy sites of Islam. The Baha’is are spreading love, obedience, submission, courtesy, faithfulness, tolerance, generosity while the Iranian leaders and mullas are spreading hate. Who are better representatives of God’s Messenger? Judge fairly, dear reader. This very last allegation, baseless and fabricated as it is, indicates the mortal danger the ruling clergy are sensing….I often asked my self ; why is it that this clergy in Iran going to such extremes to eradicate the Bahai form amongs them? as a matter of fact the answer was given to me recently by a dear Muslim friend from Iran, who shall remain nameless, lest the the Iranian Government retaliate against his kinsmen in Iran; what he said made a lot of sense and opened my eyes. He said that the clergy in Iran have many sources of income under several systems of entitlements they had so elaborately devised: 1) They collect all the income from all the religious endowments–by itself is a huge income in the hundreds of millions 2) They collect all the monies from Islamic Tithe, or what is called Khums and Zakat; which are religious obligations of pecuniary giving to the faith, whose custodians are the clergy . 3.) They collect what they call The Right of the Imam. Let alone the fact that they are the ones who have full control over the vast wealth and income from petrolium, and other natural resources, as gems, timber, uranium, natural gas, etc, which they have been plundering for the past 32 years , while the majority of the population is sinking ever so deeper into the abyss of poverty. This Muslim Iranian friend of mine then added “Now by abolishing the institution of clergy, as you had told me, Bahaullah has effectively cut off their lucrative source of income and sustenance, for which they did not have to even lift a finger; they think and brain wash the people to believe that it is their God given right. Well, this era seems to be soon coming to an end and they can feel it.” What a profound eye opener that was for me. This state of affairs therefore, reminds me of the holy Hadith, which precisely and succinctly depicts the situation of this clergy who now have recently fabricated yet another baseless, false and unfounded allegation of “mufsid u fil ‘ard.”; meaning, he who promotes corruption among the people of this earth; the Hadith says: On that Day [ Day of God] the doctors of religion are the most evil on the face of the earth; from them sedition springs and upon them it recoils.” These are not my words but are the words of the Prophet Muhammad , Peace be upon Him. As far as guilt of Mofsed fel-Arz is concerned, the most important criterion is whether the activities being considered for such a charge have caused people to turn towards God for the guidance of their lives, or away from God. In the years since the establishment of the Islamic Republic, the clique of leaders in Iran have had a free hand to guide and communicate with the people of Iran, while the Baha’is in Iran have had whatever limited means of communication they possessed curtailed. A survey of attitudes towards religion of the people of Iran indicates that in this period, people have, to a great extent, been alienated from religion and God. Surely this is the worst corruption possible, and it is the current government of Iran that is obliged to show why they are not guilty of Mofsed fel-Arz. I don’t believe anything the mullahs running Iran say. Their motto is “the bigger the lie, the more the people will believe it”.